His father wants him to follow in his footsteps, but Herman isn't like his father. All attempts to please his father end in criticism and angry rebuke. Herman loves to be outdoors where chestnuts and pinecones are a colorful backdrop for his stories. 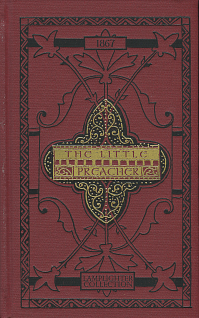 Through these stories, the little preacher softens the most hardened heart. If you believe that nothing is impossible with God, then this story is for you.